For those new gardeners, planning out your garden can be a difficult task. Here are five online garden planners that will give you tips on space, planting times and yields. Garden Planner online – This is site will help you customize your layout according to the size and shape of your garden. It will also let you add shrubs, trees, grass, to give you a complete picture of your garden. Once you complete your plan, the site will let you print your design. Better Homes and Gardens Plan-a-Garden – The plan-a-garden website will let you visualize your dream garden. The site will let you choose the type of plants, the colors and help you resize the plants so that they fit your backyard. com – If you are an aspiring farmer and chef, this is a good website to plan your garden space. You can add the space of your garden or plot and then choose the type of vegetables or fruit trees you want to plant in your space. 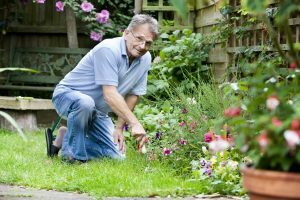 Gardener’s Supply – For those of you who are unsure of how to plan a garden, look at this website for a pre-planned plot that falls under different themes like All-American, Cook’s Choice, High Yield, Each plan comes with a 15-plot grid and includes detailed instructions for planting to maximize output. Garden Puzzle –For a head on view of your future garden, the Garden puzzle website is a good place to start. This planner is more suited for flowers and shrubs and best for those looking to redo their front landscaping.